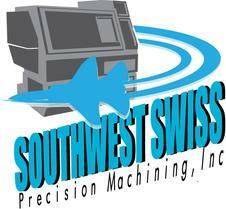 Southwest Swiss Precision Machining Manufactures High Precision Complex Parts That Are Unique To Their Specific Industry, Business And Application. As a supplier to the aerospace, medical and commercial industries, our team specializes in the ability to machine a variety of materials and specialty alloys required for components used in the industry. Our state of the art, Citizen Swiss CNC screw machines, are used to manufacture components out of tough materials with extremely tight tolerances.